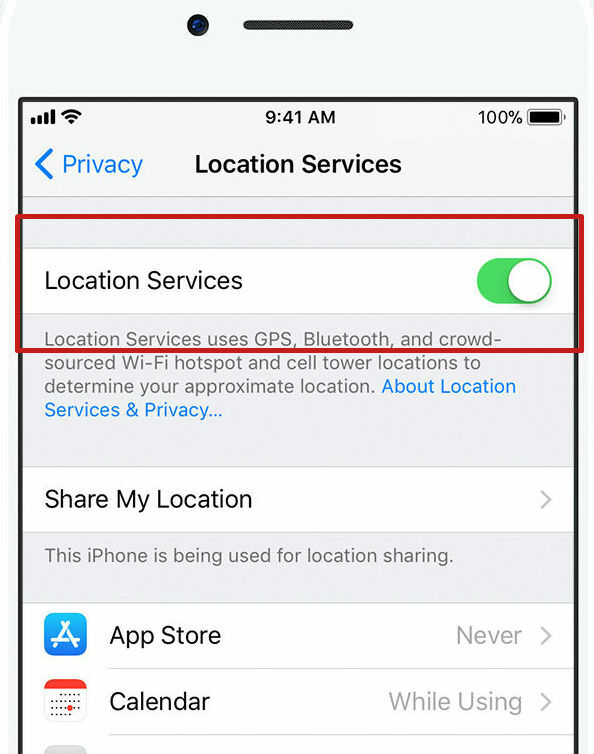 Stop sharing your location on an iPhone to improve VPN performance! Why This Happens: When using a VPN on an iOS device, it is sometimes possible for a website to detect your real location. This is known as an “IP Leak.” Using Betternet will always encrypt your data and protect your personal information from outside attacks. 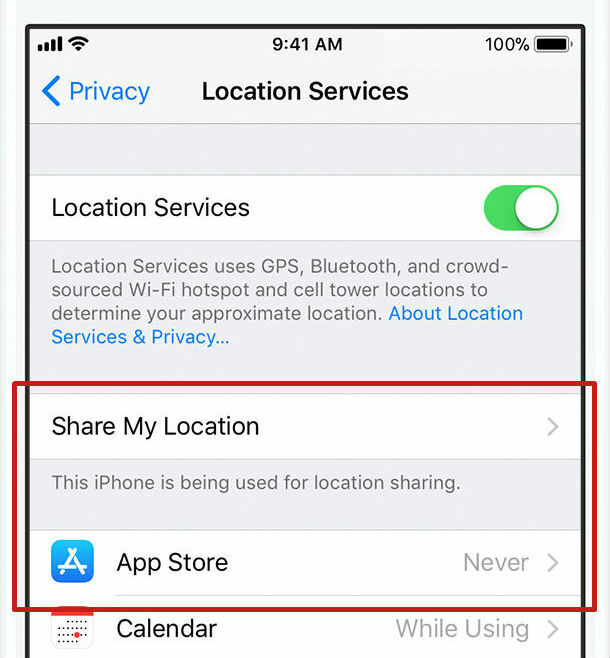 However, you might voluntarily be giving away your country location without meaning to through your existing iPhone's GPS settings. 1. First, clear your history and cookies on your browser. To do this, please go to Settings > Safari, and tap Clear History and Website Data. 2. Next, turn off "Location Services." You can turn off GPS tracking for your entire device, or, for each application individually. Click the slider so that Location Services are turned OFF. Tap the app name and select NEVER. 3. 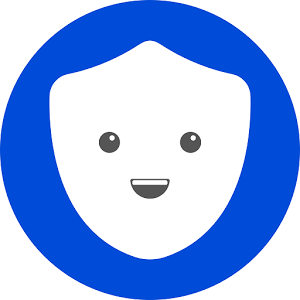 Lastly, sign into Betternet. Then, select the Virtual Location that corresponds to the website or app you are trying to access. You can double-check your country location at Locate My IP Address.